House beautiful! 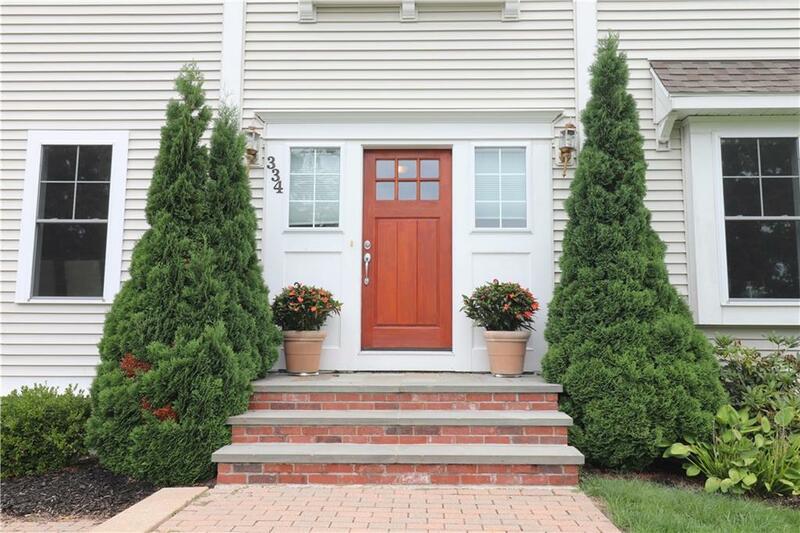 Move right into this sunny, modern, spacious colonial in a private serene setting! A commuters dream- 2 minutes from Route 24! You will be captivated by the cathedral foyer, 10 ft ceilings, and the over-sized rooms. The kitchen boasts an eat-in island with granite and beautiful white cabinets, as well as a breakfast area for a table and chairs. There is an over-sized pantry closet and the kitchen is convenient to the first floor laundry in the lavette. Access to the large 2 car garage and the perfectly sized deck are both from this very generous kitchen. The formal dining room has fantastic details with full-wall wainscoting. The family room is enormous and great for entertaining , with a cozy fireplace, hardwoods, and an extended bank of windows off of the front and the rear of the home. 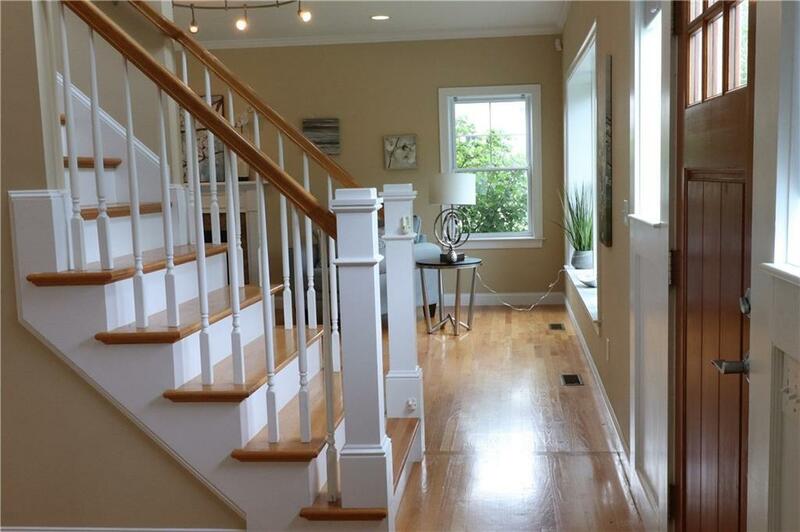 As you embark up the open stairway you find a cozy, and bright landing- great for reading or relaxing. The generous- sized master suite boasts an enormous walk- in closet as well as a private bath with over-sized soaking tub, stand up shower and plenty of light and storage. The additional bedrooms include 2 with carpeting and closets, and a 14 x24 bonus room with Brazilian cherry floors eligible to be used as a bedroom. The basement is dry, with high ceilings, and the homes irrigation system controls and HVAC. 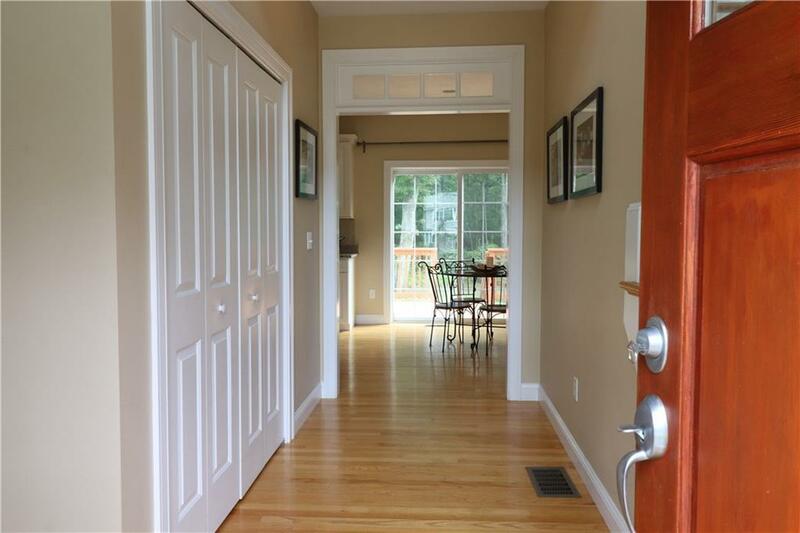 This home has hardwoods throughout the first floor, central a/c, and space for everyone! 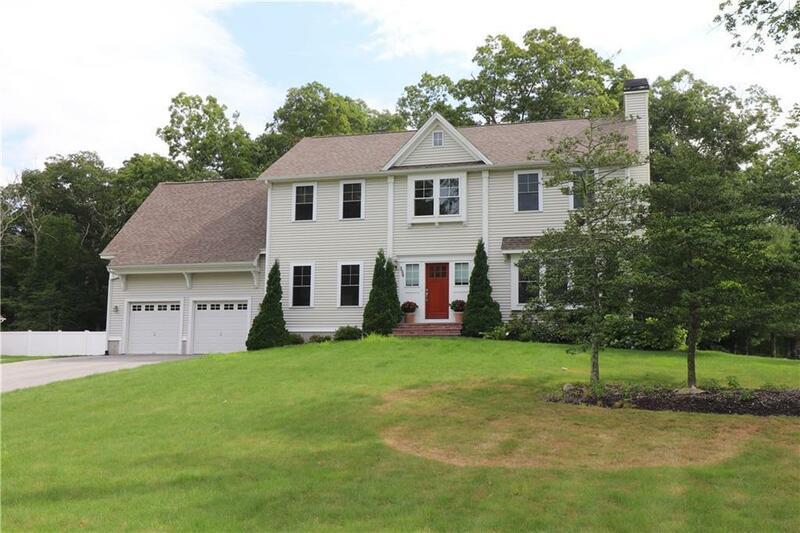 Listing provided courtesy of New England Properties.